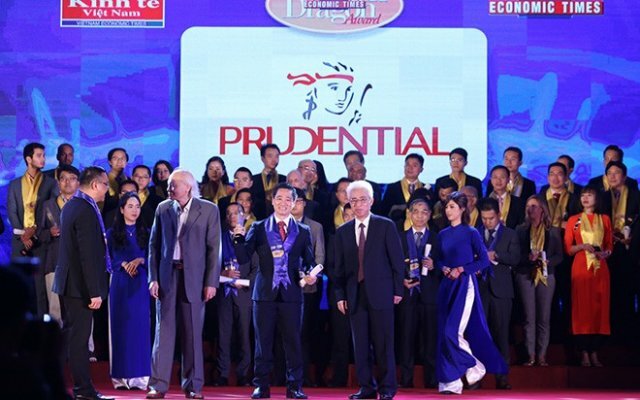 VET's Golden Dragon Awards and Vietnamese Excellent Brand Awards ceremony held on April 14 at JW Marriott Hotel Hanoi. 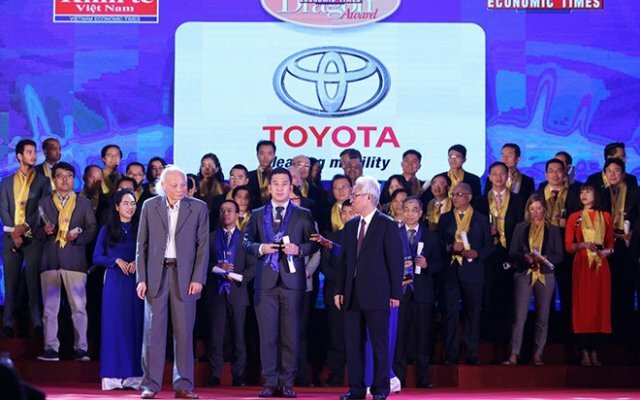 The Golden Dragon Awards and the Vietnamese Excellent Brand Awards were held on April 14 at the luxurious JW Marriott Hotel Hanoi, attended by government leaders, representatives from ministries, economic experts, and more than 500 CEOs from foreign-invested enterprises (FIEs) and Vietnamese enterprises, many of whom also attended the Vietnam Economic Times Group’s CEO Forum on the previous day. 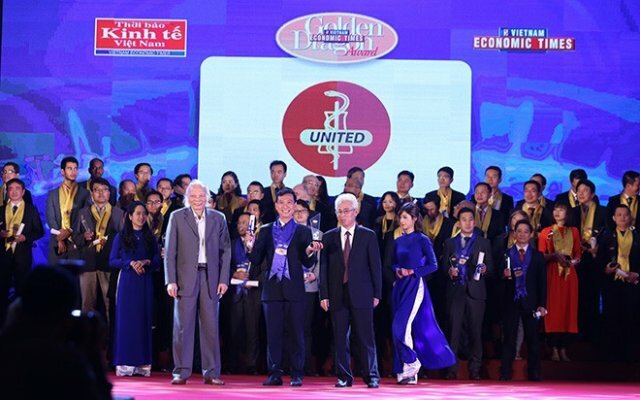 Vietnam Economic Times, the organizer of both awards, presented 62 FIEs with a Golden Dragon Award and 100 Vietnamese enterprises with a Vietnamese Excellent Brand Award. These enterprises are proof that there are sound businesses overcoming the ongoing economic difficulties. 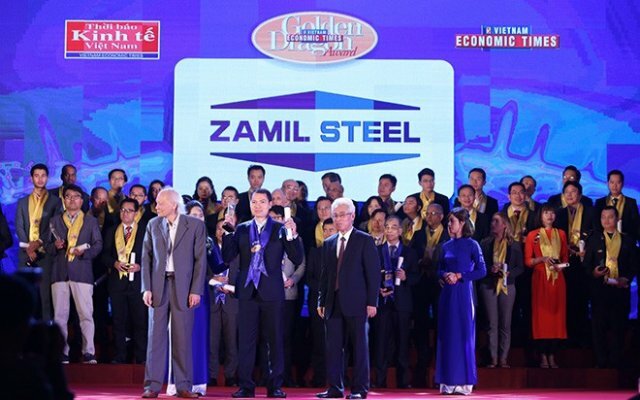 All have strategic plans to improve their competitiveness in terms of human resources, technology, quality, and services, to enable them to actively seize opportunities and face the challenges posed by international economic integration. The theme, this year, titled "Connecting For Prosperity and Sustainable Growth." 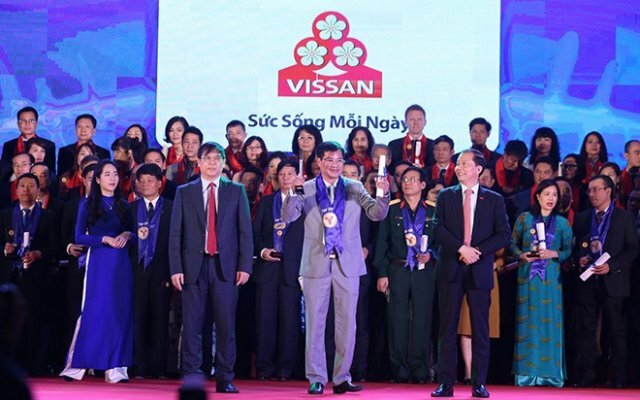 Ten of the winners received Golden Dragon Awards for sustainable growth: Samsung Electronics Vietnam, Honda Vietnam, Toyota Motor Vietnam, Chinfon Cement Corporation, United International Pharma, Deloitte Vietnam, Zamil Vietnam, Suntory Pepsico, Prudential, and Citi Vietnam. 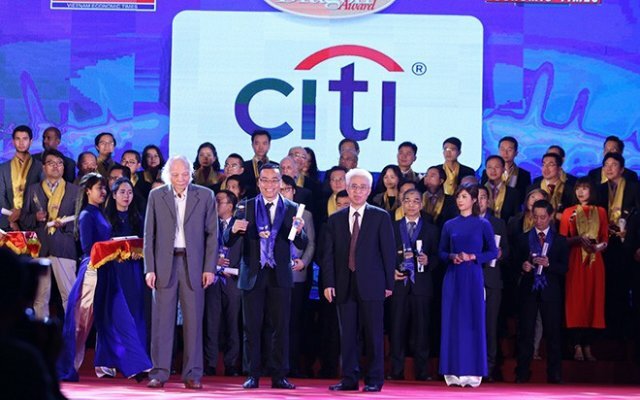 In the Vietnamese Excellent Brand Awards, ten local enterprises were recognized for their prestigious development: Vietnam Airlines, Bitexco, Vietcombank, Vietinbank, Viettel, Vietjet Air, Vingroup, Sun Group, MobiFone, Vinamilk, Vissan, Garco 10, TBS Group, THACO, Southern Airports Services JSC, Bach Dang Construction Company, Ben Thanh Corporation, Binh Dien Fertilizer JSC, and Hung Loc Phat Real Estate Service JSC.